In years of drought we all know that certain plants struggle to last the distance in summer. 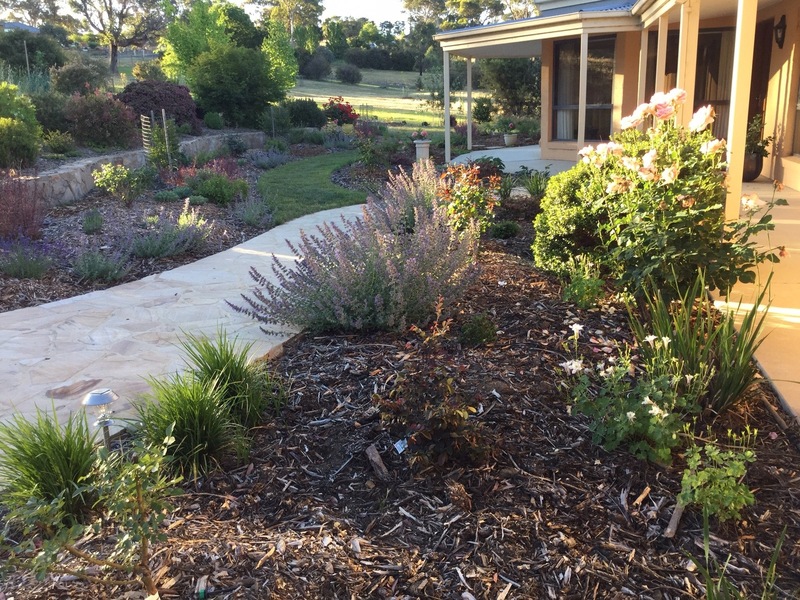 However, beautiful colour can still be achieved by selecting drought-tolerant species and planting them close together to minimise evaporation. These beds to the left were planted up by Botanical Places and have survived both periods of very wet and very dry weather. 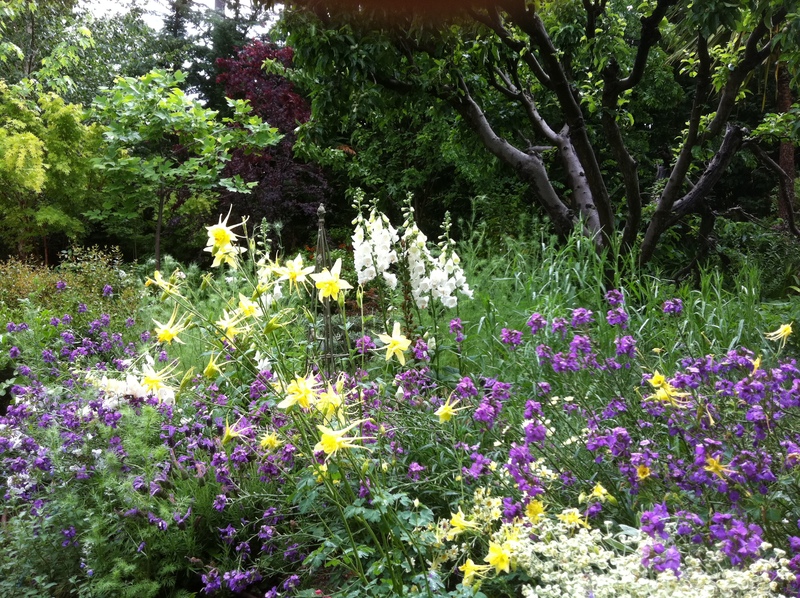 The photo to the right is a mix of perennials in my own garden. Here, I have planted Anemone, Sedum, Achillea, Canna, Liriope and Pelargonium against a deep green Juniperus chinensis ‘Spartan’ backdrop. 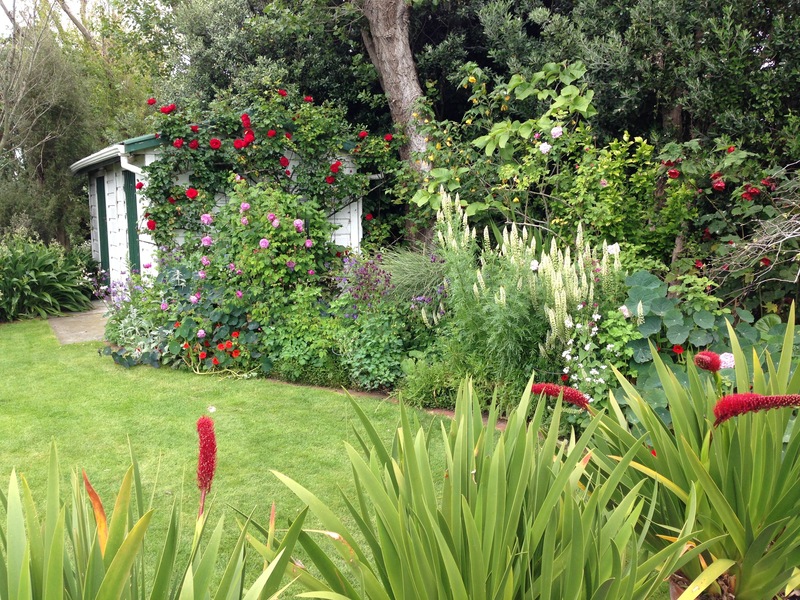 The pinks and burgundys lift the greens whilst giving a soft effect. 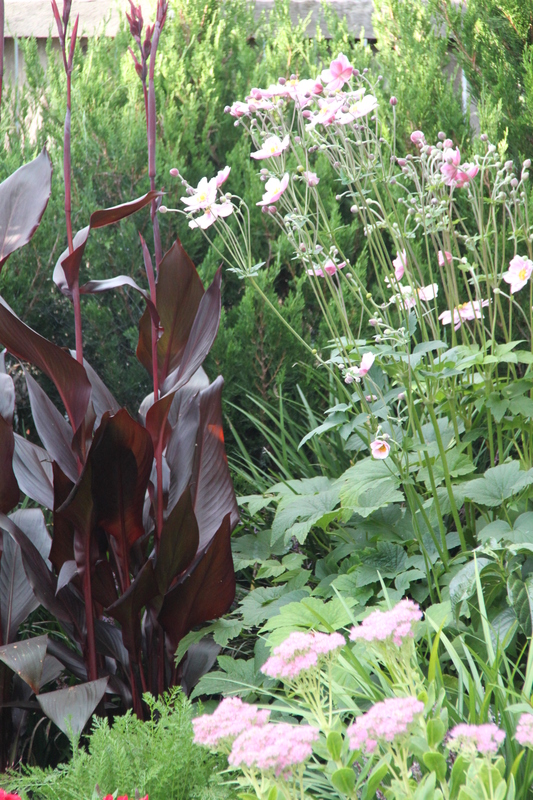 The Echinacea in front of the Canna will soon grow up to bridge the differences in heights and bring pink flowers through into autumn. 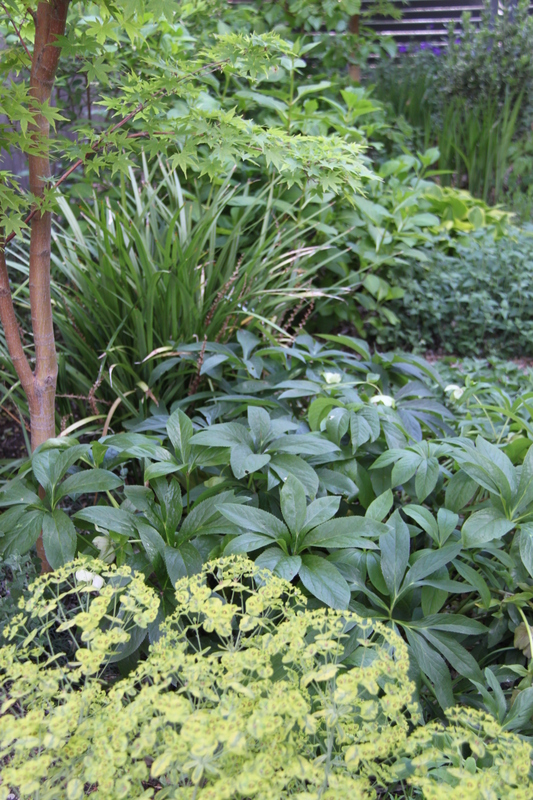 The perennials in this second photo on the right show that a variety of greens with no additional colour can look just as attractive and create a contemporary feel. Here I have planted Euphorbia, Helleborus, Liriope, Verbena, Geranium and Hosta, combined with Euonymus, Hydrangea, Avellana and Acer shrubs to ensure adequate winter structure. The contrasting textures add depth and interest.